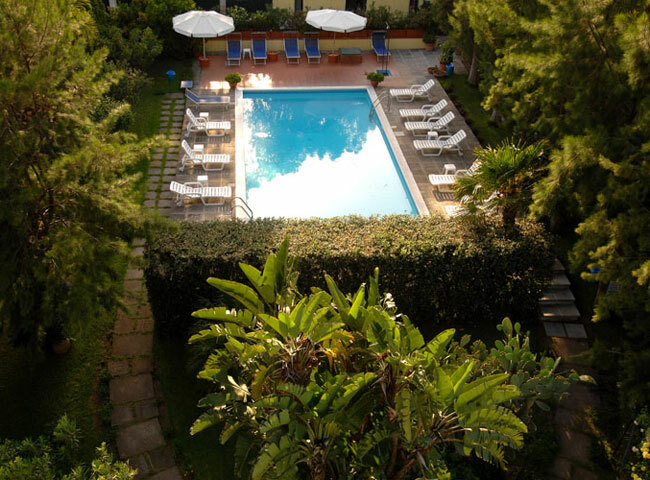 Among the hotels in Acitrezza, theHotel Eden Riviera is located in a privileged position. Its pleasant terrace overlooks the protected marine area of the "Ciclopi Islands". The islands, also known as the Faraglioni Islands , rise majestically from the sea towards the sky only a few hundred meters from the coast and can be reached on small fishing boats. An ancient legend narrated by Homer and Virgil tells the story of Polyphemus, who was infuriated with Ulysses after he rendered him blind. 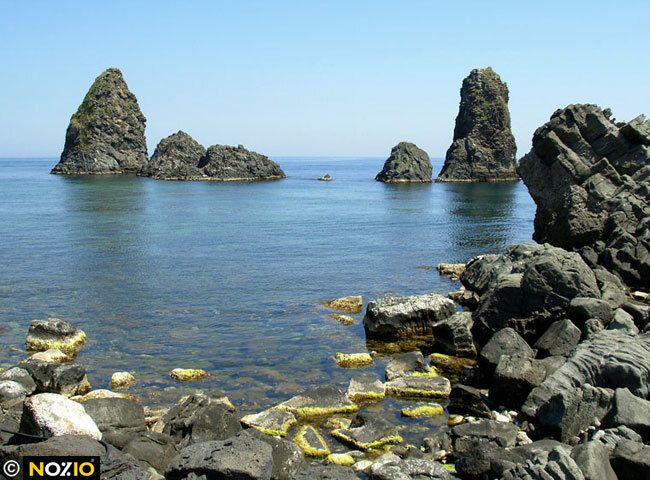 Polyphemus hurled huge boulders at his boat from the summit of the Etna volcano, forming the island which is today known as "Lachea" and the three "Faraglioni Islands". 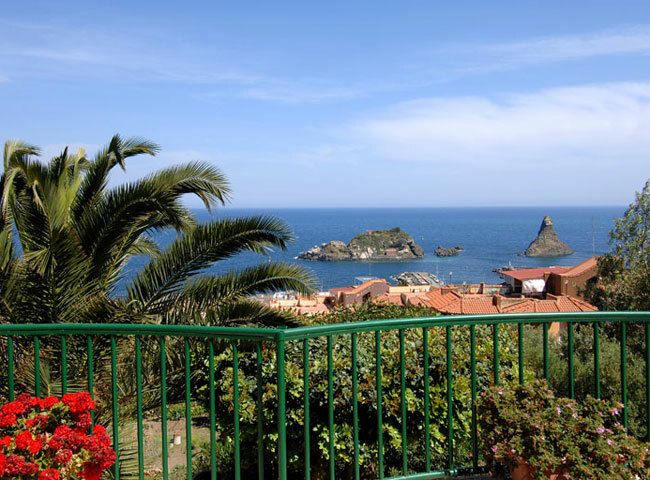 While taking a stroll through the streets of Acitrezza, you can visit the Mother Church of San Giovanni Battista, which holds a traditional festival every June 24, including the propitiatory rite "U pisci a mari". At the end of July, you can enjoy the flavors of the fish festival Padellone, an entertaining and unique traditional event. Only 1 km from Acitrezza, you can explore the Aci Castle , an ancient Norman castle constructed on a lava cliff suspended over the sea. Today, the castle houses an interesting museum. A short 35 minute drive takes you to the surrounding area of the highest active volcano in Europe. While in the Etna Volcano Park, you can see diverse alternating landscapes: widespread vineyards, thick forests of secular beech trees and lunar landscapes on the craters atop volcano. This area has long been recounted through Greek mythology and through the underground activity of the volcano, and the renowned ski area allows you the rare opportunity to ski down the mountain while looking out over the sea. A few kilometers along the coast towards Messina takes you to Taormina, a romantic and enchanting spot, and a tourist destination able to express both nature and culture with the same intensity. The Greek Theater, which regularly hosts important artistic events, the San Nicola Cathedral and the Gothic Saint Agostino Church, as well as the lively Corso Umberto I, intermingle with the beautiful seaside panorama. Do not forget to try the famous pastry shops in the historic center, which will add another delicious touch to your stay. Returning towards Acitrezza, make your way up the lava cliffs of the Timpa and visit the Acireale Thermal Spa and the small Baroque town. Finally, dedicate a morning of your trip to Catania, taking in the splendor of the Baroque Cathedral and the buildings of the historic center. In Siracusa, a fascinating destination rich with interesting monuments, you can visit the Greek Theater, the Roman Amphitheater and the unique artificial cave known as Orecchio di Dionigi. 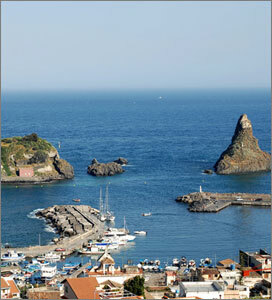 Once you arrive in Acireale, continue along the State Highway SS 114 towards Catania for 8 km. Once you pass the exit for Acitrezza, continue on for 700 meters, and then turn right on Via Litteri. 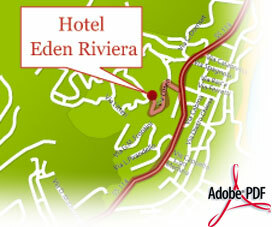 Hotel Eden Riviera is located at number 57. 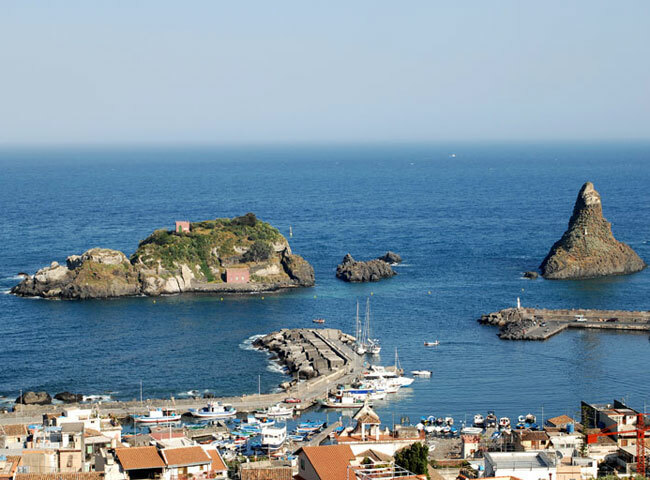 Once you have reached the Acireale Station, you can go to Acitrezza on the Siciliana Trasporti bus. The Acireale/Catania line stops at Piazza Giovanni Verga, 700 meters from the hotel. Travel time: 20 minutes. The “Fontanarossa” Airport of Catania is 15 km away from the hotel. Take a rental car to the Central Station, and continue on Viale Africa along the seaside until reaching the State Highway SS 114. Once you pass the exit for Acitrezza, continue on for 500 meters, and then turn left on Via Litteri. 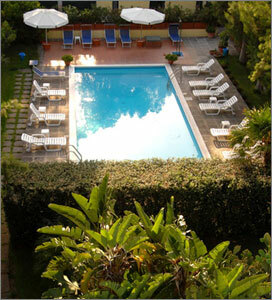 Hotel Eden Riviera is located at number 57. As an alternative, go to the Catania train station by the Alibus Line departing from the airport, and taken the local bus in Catania/Acireale. 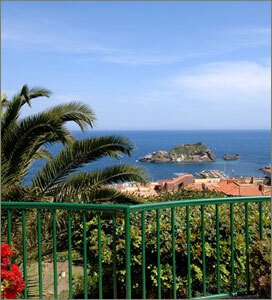 You arrive in Acitrezza in less than 20 minutes at the intersection with Viavia Litteri, only 300 meters from our hotel. Taxi service is available.